TORONTO, ON – March 20, 2019/insPRESS/ – The Guarantee is pleased to announce the appointment of Stephen C. Ruschak to the position of Chief Executive Officer (CEO), The Guarantee Company of North America and The Guarantee Company of North America USA, effective immediately. In addition to his role as CEO, Stephen will continue to hold the position of President of The Guarantee Company of North America USA. Donna Barclay continues as President and Chief Operating Officer of The Guarantee Company of North America, reporting directly to Stephen. 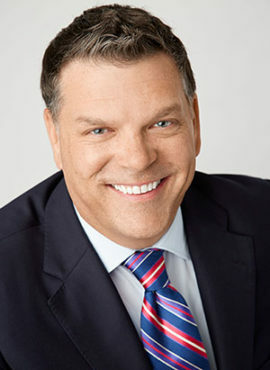 Stephen joined The Guarantee in 2009 as President of the Guarantee Company of North America USA. During his tenure, Stephen has built a strong team and has consistently driven profitable growth in the USA, as well as leading a number of significant initiatives across our North American operations as a member of the Company’s Senior Leadership team. Stephen has a diverse insurance background including deep experience in claims, underwriting, reinsurance and surety. Stephen graduated from Albion College (Michigan) with a BA in History, a JD degree from the University of Detroit School of Law and earned his MBA from The University of Chicago Booth School of Business. Stephen is a member of the Board of Directors of the Surety and Fidelity Association of America and serves on the Executive Committee of its Board. He is also a Past President of the National Association of Independent Sureties. The Guarantee would also like to extend our deep gratitude to Jules Quenneville for taking on the leadership of the Guarantee Company of North America over the last couple of years. Jules will be returning to his role as President and co-CEO, Princeton Holdings Limited and will continue his role as a member of the Board of Directors of the Guarantee Company of North America. The Guarantee Company of North America is a leader in specialty insurance and surety within the North American marketplace. We offer in-depth knowledge and expertise in niche segments, including surety, corporate insurance, transportation, trade credit insurance, and customized personal insurance, including GUARANTEE GOLD® for high net worth customers. For more information, visit theguarantee.com.